There are several benefits to buying your own home. It’s not only a roof over your head, but because you own it, you really have the opportunity to make it your own. You could paint the whole interior Honolulu blue and silver if you wanted (potential protests of significant others notwithstanding). However, for most people, their home is probably the biggest asset they have in their financial portfolio as well, so you should always think of it in terms of investment potential. If you want to take your investment to the next level, rental properties can be a great way to earn passive income. You just need to be aware of the pros and cons. We’ll go over the investment value for primary properties as well as rental properties. Finally, we’ll look at a couple of options that don’t require having a physical house. When you buy a home to live in, there are two ways you see financial benefit from the purchase. When we refer to equity, it’s the difference between the value of your home as established by an appraisal and what you actually owe on your mortgage. If you buy a new home, your initial equity is represented by your down payment (e.g., a 3% down payment equals 3% equity). Once you get your home, this equity increases in two ways. With every payment you make, you pay down your principal a little bit, and the equity you have in your home increases. Your equity also rises each time your property value increases. Although you don’t realize this gain in equity until you have your home reappraised for a refinance, you can get a reasonable idea of the direction your market is trending based on the houses that sell in your area. Once you have equity, you can access it via a cash-out refinance to do things like home improvements, debt consolidation, and boosting a retirement or college fund. Having an understanding of how much equity you have at any given time can help you to unlock your home’s investment potential. Quicken Loans clients can see an estimate of how much equity they have through their Rocket Account under the My Property section of the homepage dashboard. The sale of the property is the other way you make money on a primary property. You can either invest that in the down payment on your next home or take it with you into the next phase of your life, wherever that may be. When it comes to investing in a primary residence, there are a couple of things to make sure you know in terms of pros and cons. The first big pro in favor of investing in a primary residence is that it’s yours. You can stop giving money to a landlord each month, never seeing it again. By making payments, you gain equity that you can eventually take out of the home if you want to use it for other purposes. It’s true that equity can go up or down with the housing market, but we’re in a period of increasing property values. The price for rent also tends to just go up every year as opposed to a mortgage, where your actual monthly principal and interest payment doesn’t change all that much. Even people who have an adjustable rate mortgage (ARM) have a fixed rate that often lasts for the first several years of the loan term. If they suspect rates are going to go up for a while, those in an ARM can always look into getting a fixed-rate mortgage. Third, housing investments typically outpace inflation. This has been the case for a long while and is only increasing, as there’s more demand in the market than builders can realistically keep up with. The supply issue has home prices projected to grow at double the pace of inflation in the coming year. This pace obviously can’t last forever. Rising interest rates have increased financing costs, which puts pressure on home prices to come down. But even if prices moderate a little bit, this is still likely better than the rate you would be getting if you kept the money in the bank. Prices also aren’t susceptible to the same level of volatility you might see in something like your retirement investments or the stock market. There are lots of good reasons to invest in a home, but it’s definitely more expensive to get into than most other investments. In most cases, getting a home will require a down payment, and in addition to your monthly payment, you’ll have to pay for taxes and homeowners insurance as well. This isn’t a deal breaker, and homes are a common investment people make. However, there are ways to make sure you can afford a home. Start by going over your budget to get an idea of the monthly payment you’d be comfortable with that doesn’t overextend you or interfere with other financial goals you may have. You should also work to get a mortgage approval that takes into account your credit as well as looking at your income vs. your debts on a monthly basis and any savings you want to use to qualify for a mortgage. Quicken Loans offers the Power Buying Process™. Our clients who complete this can make stronger offers to sellers because their financing is in order. Another con is that the funds in your house aren’t as liquid as other investments are. You get your money out by either refinancing if you have enough equity or selling the house. Flexibility is a little more limited than it would be with other investments. Since you generally earn greater reward by taking on greater risk, you may not see as high a return on the investment in your home as you would in stocks. On the other hand, stocks are prone to general market swings as well as corporate ups and downs on a much more frequent basis. Your own property is one thing, but you can really up your real estate investment game by looking at rental properties. In case this is something you’re considering, we’ll go over some of the big things to consider when evaluating opportunities. The capitalization rate (often referred to as the cap rate) is a comparison of the annual return on the property – after expenses – to its overall market value. How much can you expect to get in annual rent? If the property you’re looking at buying isn’t already being rented by someone else, you can get a fair idea of this by looking at real estate offices and sites. Figure expenses. You’ll have vacancy costs when you’re between tenants or they don’t make payments. These can be anywhere between 5% and 10% of the annual rent. Include the cost of any utilities you’re paying for as well as the cost of maintenance over time. Then there are the taxes and homeowners insurance. If you have a mortgage, include that payment. Finally, include the cost of any utilities you’re paying for as well as the cost of maintenance over time. You need to know the purchase price of your investment. This is the easiest to get, because you know what the property is listed for, and you and your real estate agent should have a fair idea of whether you can get the seller to come down to a certain level. You then just compare your net income to the market value of your investment as signified by the hypothetical purchase price of a given property. The higher the cap rate, the better, and you can use this as a metric for evaluating the investment potential of any particular rental property. Rental properties do typically require a more significant upfront investment than loan options that are available for a primary residence. You’ll almost always have to make a substantial down payment. For a single-family home financed with a conventional loan, you’ll need to put down at least 15% and have an excellent credit score. For this down payment to be an option for you, Quicken Loans requires that you have at least a 720 median FICO® Score. For multi-family properties with between two and four units, you’ll need a down payment of at least 25%. There are some exceptions to this. 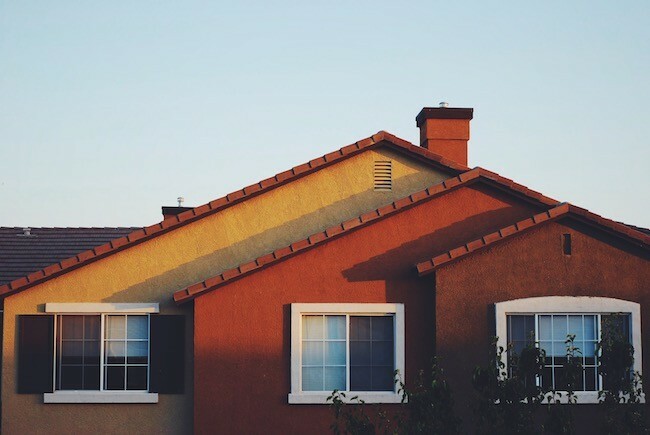 On a conventional loan, if you’re using one of the units in a multi-unit property as your primary residence, the down payment required may be slightly lower. Quicken Loans also offers down payments as low as 3.5% on up to two units with an FHA loan as long as you use one of the units as your primary residence. Finally, on a VA loan, you can get a primary residence with up to four units with no down payment. It’s worth noting that neither of these latter two products offer an investment property option, so you need to be living in the property. Beyond the down payment, you also want to be familiar with local laws. For instance, there may be limits on how much you can raise rent and when. This can have an impact on the investment potential. Finally, you’ll have to be comfortable being someone’s landlord. You’ll have to deal with items like collecting rent and being responsible for maintenance, among other things. It’s not for everyone. All that said, what are the pros and cons of getting into rentals? Let’s briefly run through everything. Because you own the property, all the same benefits of having a primary property also apply here, including the fact that you gain equity and see the benefits of any upticks in the housing market. It’s a great passive income opportunity. In the times when you don’t have to do maintenance or find a tenant, you can watch the dollars roll in without much effort. You’ll have to be a landlord and deal with the sometimes hard conversations that come with that. When something breaks, the maintenance cost can be high. There is the chance that rent could be limited by local regulations. Another avenue for real estate investment is flipping properties. This involves buying a home that needs improvement or is run down, fixing it up and updating the amenities, and then putting it back on the market to try to turn a profit. There are several things you need to know if you’re considering getting into this line of investment. When you’re flipping a property, there are several factors involved. It’s an expensive investment. If you won’t be living there while doing the work, you’ll automatically be getting investment property rates on the mortgage, which are slightly higher than what you can get on a primary property. They also come with a higher down payment. Additionally, you’ll either need to have quite a savings stockpile or be well-positioned to qualify for personal loans or other sources of funding to complete the remodel. Who’s doing the work? If you hire contractors, ask for references and get pictures of past jobs, at a minimum. Make sure they’re insured. You could potentially save yourself some money and personnel hassle by doing a lot of the work yourself, but you have to be handy. Be aware of timing. This plays into things in a couple of ways. You want to make sure you’re getting in on the market at the right time. You don’t want to start any flipping projects in a market poised for a downturn. While no one can predict the future, do your research on any trends in the market. Also, if you’re doing the work yourself and using the house as your primary property while doing so, there will likely be a clause in your mortgage document that says you have to live there for a certain length of time before selling the property. Make sure you know how long you have to wait. Improve the property, but don’t go too far. When homes are appraised, they’re compared to other similar homes sold in the area. If other homes in the area don’t have the commercial kitchen you just added, you likely won’t see the full value returned in a sale because the appraiser has nothing to evaluate against. There’s no first mover advantage in real estate. For the right person who’s willing to take on risk, flipping homes can represent an opportunity for a sizable profit in a relatively short timeframe, but you have to know what you’re doing. It’s also important to realize that not everyone does these loans. Quicken Loans doesn’t do mortgages on properties that are going to be rehabbed or torn down after closing. There are options to invest in real estate without having to get your hands on the physical inventory. Let’s cover a couple of them. Real estate investment trusts (REITs) are opportunities for people to invest in commercial real estate like malls, hotels and office buildings as well as the associated mortgages. The idea isn’t to quickly sell the property but to give investors a share of the profits from the properties in the portfolio. There are both publicly traded and non-publicly traded REITs. Publicly traded REITs are sold on exchanges and could be an answer if you want to invest in real estate but not give up liquidity in the process. The other way you can get in on real estate investment without a home is through something called syndication. In this option, there’s usually a single entity that serves as the sponsor and puts up the biggest chunk of investment. The sponsor handles construction and management of the property. They then go to outside investors to get them to fund the rest of the project. For example, a sponsor might put in 20% and rely on others to put in 80% of the funding. Investors get a guaranteed percentage of any payouts generated by the property, usually about 5% to 10% of the money they initially invested. After that, the profits are split according to a predetermined arrangement between investors and sponsors. With either REITs or syndication, you’ll be given investor documents to help you decide if the investment is right for you. Read these carefully. No matter what type of real estate investment you’re looking to do, be sure to talk over any concerns with a financial advisor before determining a path forward. If you’re interested in buying your own home or even a rental property, Quicken Loans can help. Feel free to get started online or give one of our Home Loan Experts a call at (800) 785-4788.